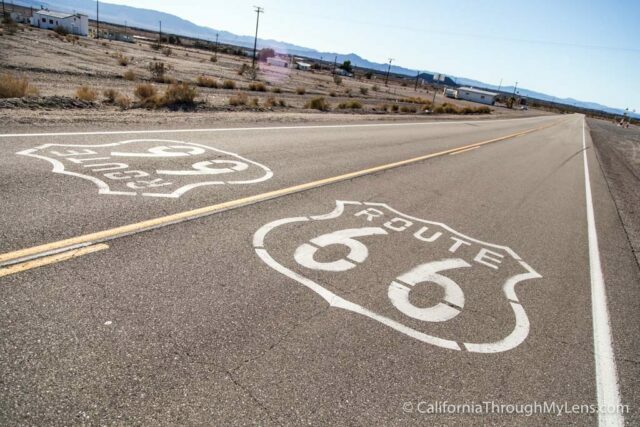 One of the goals I set for myself in 2016 was to finish my drive of Route 66 in California. A few years ago I drove two portions of it, from Barstow to Victorville and from San Bernardino to Rancho Cucamonga but I still needed the portion from Needles (where it enters CA) to Barstow. I was somewhat dreading this one as it was a 3.5-hour drive from my house just to Needles but a few weeks ago I had a free day so I set out at 7 AM in the morning to see what I can find. 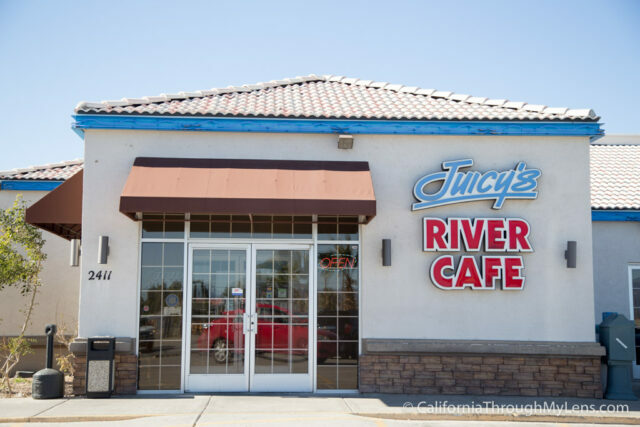 Here are all the details for what you can see / where you should stop on the drive down the Mother Road from Needles to Barstow. 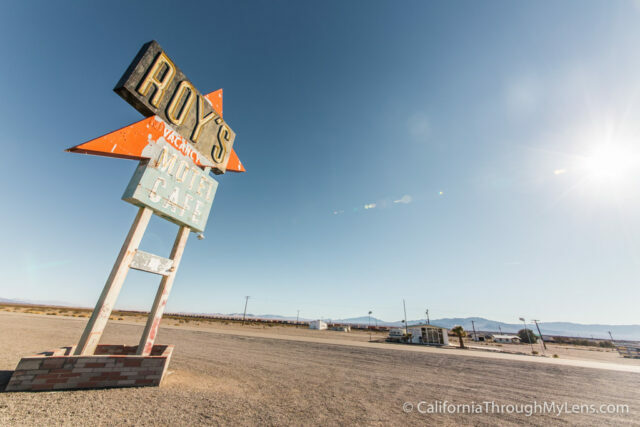 If you drive all the way down to where Route 66 enters California, you will find yourself about 20 minutes South of Needles. 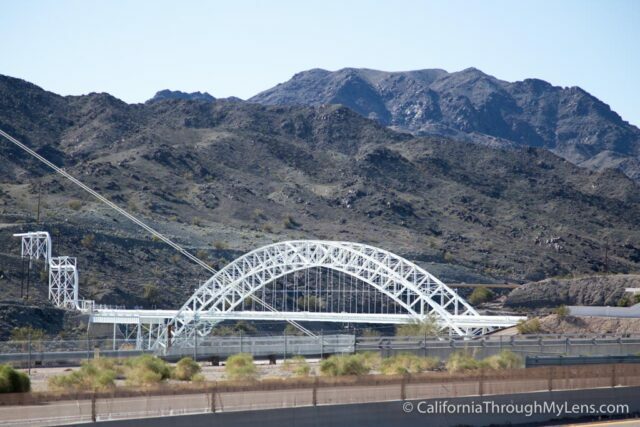 This is where a famous bridge, known as the Old Trails Bridge, spans the Colorado River which was once part of Route 66. Today the bridge is just for an oil pipeline crossing and I found it hard to get to a good spot to take a picture, but you can see the best shot I was able to get above and let me know if you have a suggestion for how to see it in the comments. 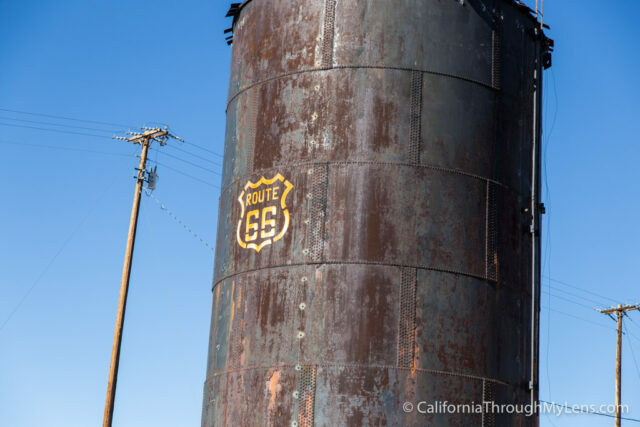 Also, right across the border on the Arizona side, there is a really cool old tower with Route 66 on it that I thought was a fun stop, even though it isn’t in California. 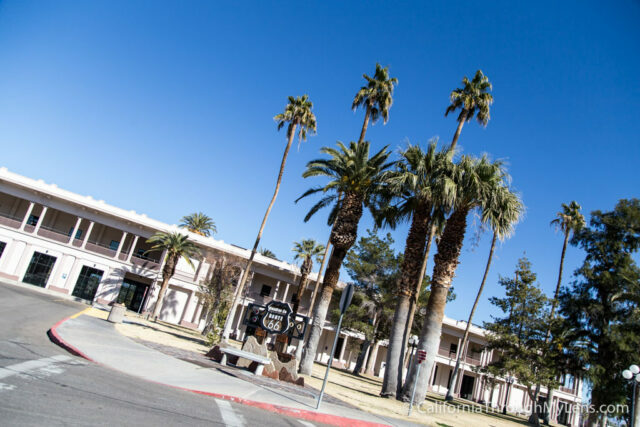 After driving about 15 minutes in the barren desert you will make your way to downtown Needles. There isn’t a lot here but there are a few old buildings and a few places with fun Route 66 art. 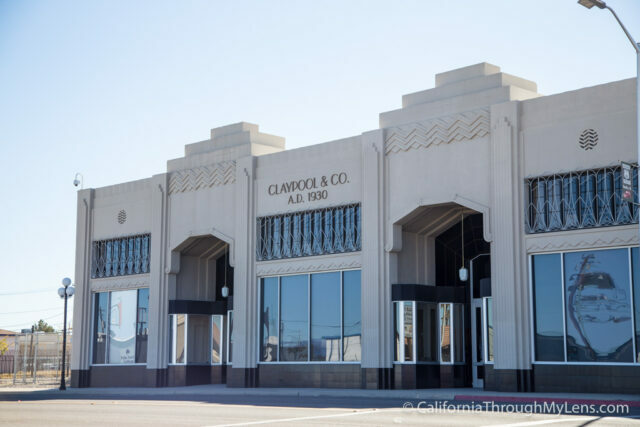 This is the main attraction in downtown Needles as it is an old hotel that they are now renovating and it is one of the only remaining historic buildings in this area. There wasn’t much I could see while I was there but it was fun to see something that is from the time period when this road was driven. 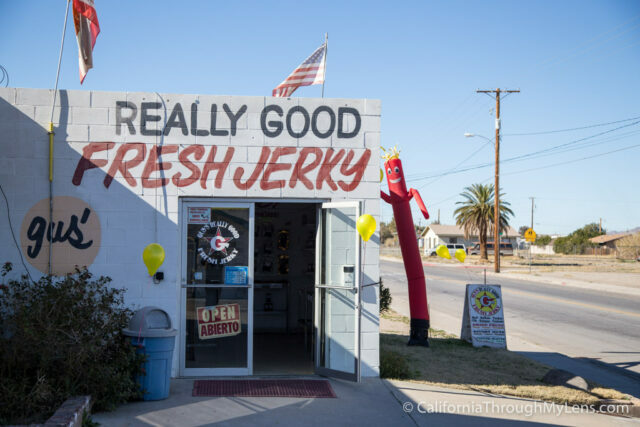 After leaving downtown there is a little jerky stand about 2 minutes off Route 66 if you want to go to it. I got some really good dried mangos here, but there is a honey stand coming up as well though so you may choose to skip it. 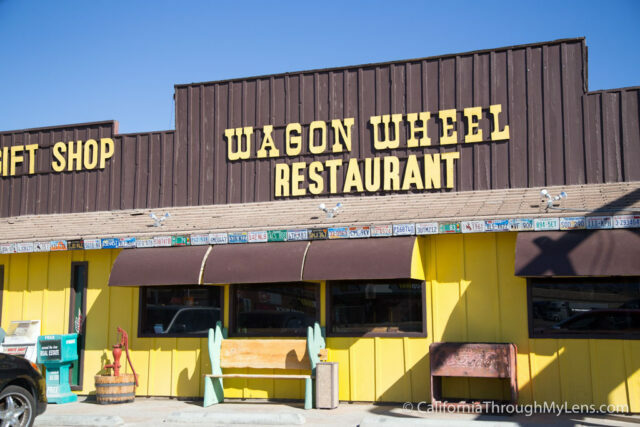 The two main food spots along Route 66 in this area are Wagon Wheel and Juicy’s River Cafe. Both are diner food and I have had decent meals at both of them, nothing to write home about but good enough. Do note that you need to eat before you do the next stretch as there is nothing to eat again for a while. 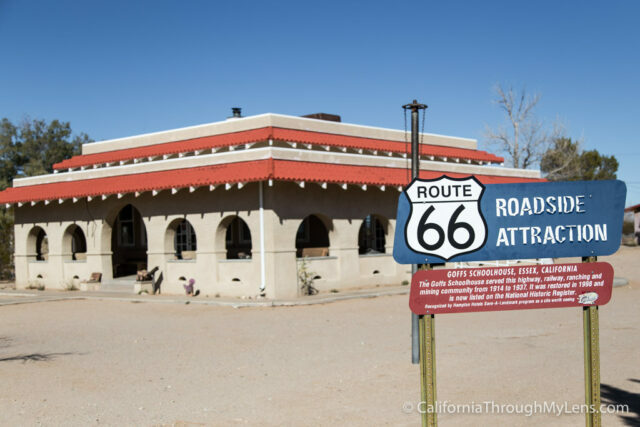 Route 66 is Highway 40 for a little while before you get off on Highway 95 North. When you do you will see signs for this little honey stand. 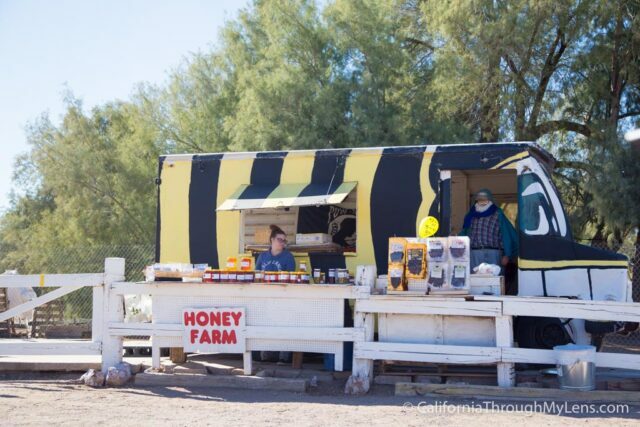 It is a fun quick stop where you can take a picture in a cut out of a bee and buy some fresh honey. From here you keep driving on Highway 95 North till you see the left turn that leads you to the city of Goff. 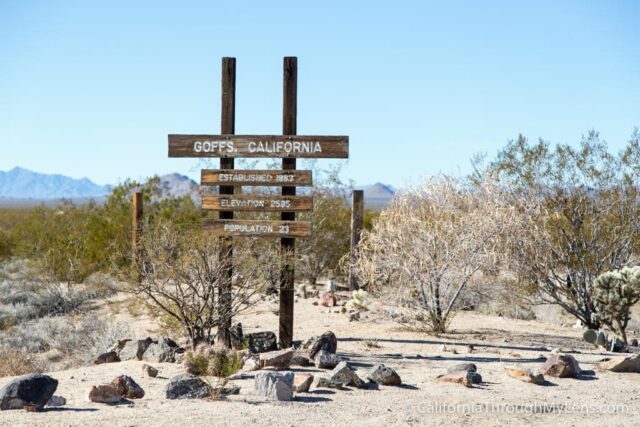 Goff is one of the best kept up cities on this entire stretch of Route 66, while it doesn’t have any food or gas, it does have a really well-preserved schoolhouse museum. The schoolhouse here was built in 1914 and it is in great shape with a docent that watches over it and lots of things to see / interact with. 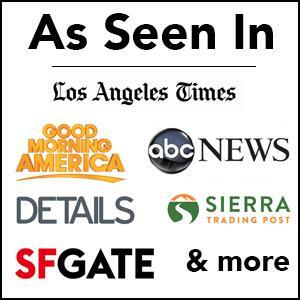 You can read more about it here, but note it is only open on Sat, Sun and Mon. The road for the next 30 or so miles has nothing at all on it. It is very barren and I didn’t really even see any other car. It will eventually cross over Highway 40 on its way to Essex. The town of Essex is not much more than a few broken down buildings currently. I took a couple of pictures but there isn’t anything to do here or see other than the buildings. From Essex to Amboy there is not much to see either, notice a trend? 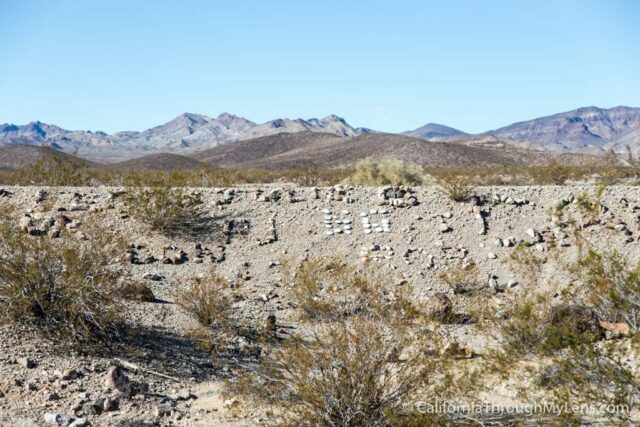 I did notice that for a few miles there was a lot of rocks that spelled out people’s names along the train tracks. These went on for miles but I am not what the purpose of them was. 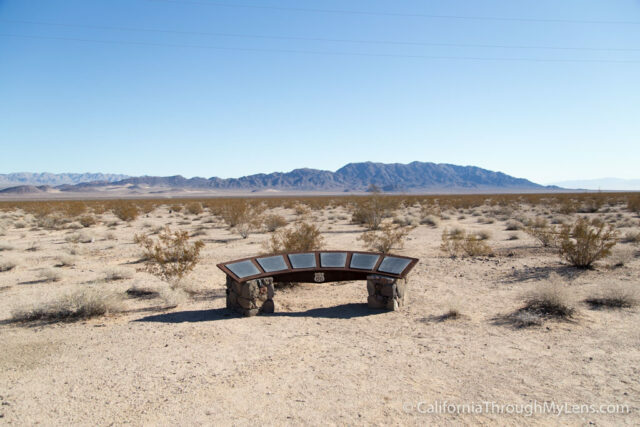 When you are getting close to Amboy you will see a sign for a kiosk, this will lead you to the above plaque with some information on Route 66 as well as the area you are standing in. It is a good viewpoint as well and one of the only things like it on this stretch of the drive. 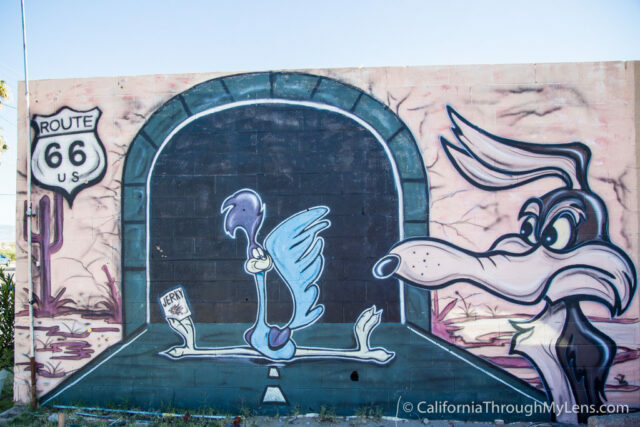 On the outskirts of Amboy, there is an old sign for Roadrunner’s Retreat that I saw. I know nothing about it but I thought it was cool sign, the building has long since stopped being a retreat. 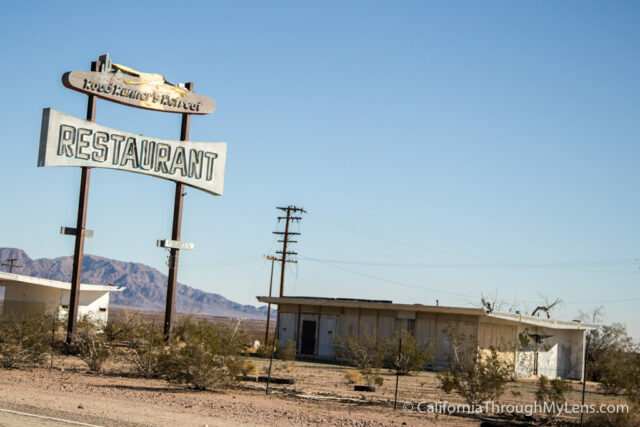 Amboy is the city that was once sold on EBay and it is the main attraction on this stretch of Route 66. There is a small gas station here with some food and some very expensive gas. Also, there is a really fun old sign that is popular for photography and the remains of an old motel and school. 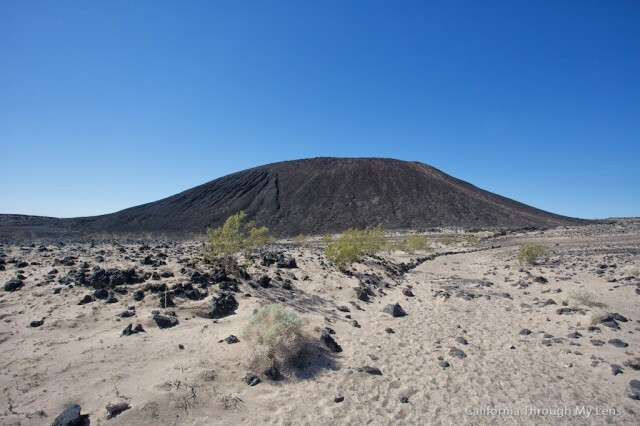 Just a little bit down the road from Amboy is the Amboy Crater which is another really popular attraction. I have actually hiked to the top of the crater and you can read about that here. 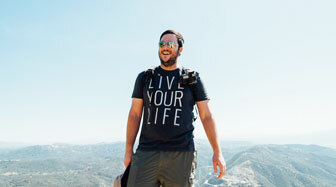 It is a fun spot to just view from the shaded look out point as well if you are not in a hiking mood. 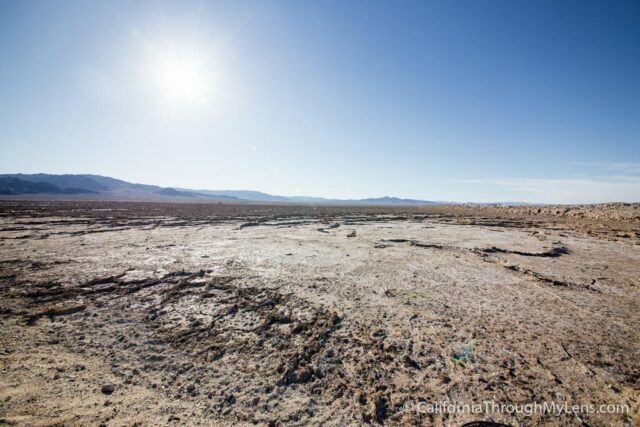 The turn off for the dry lake is before you reach the crater, and if you head 5 miles down this road you will see a massive salt flat. This is where salt is actively mined and it is a Badwater-esque area during certain parts of the year with seas of salt. The town of Ludlow doesn’t have much in it either, only a motel, gas station and cafe. I haven’t eaten at the cafe but it looked like it had a Route 66 vibe from the outside. From here you can either hop back on Highway 40 or drive Route 66 which pretty much just parallels it for the next 25 miles. I chose to drive the highway as the road was in better shape. 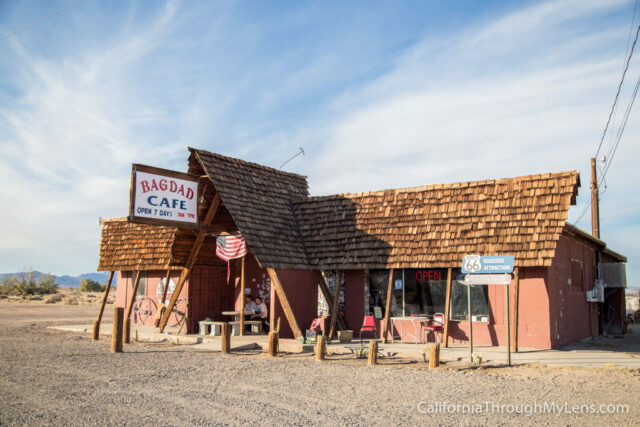 I got off again in the town of Newberry Springs, which is where the famous Bagdad Cafe is from the movie of the same name. I didn’t eat here either but it was a fun and historic spot to see. 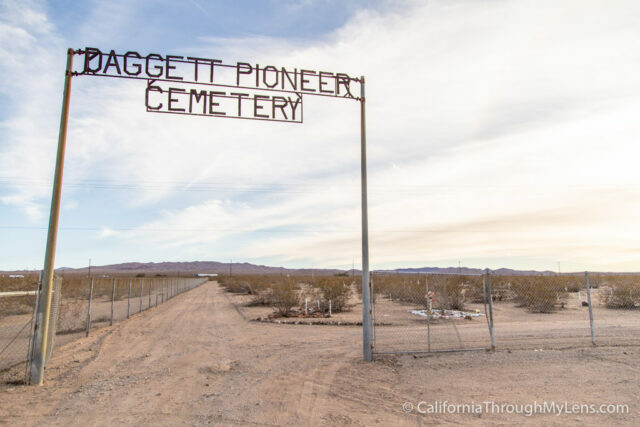 The last stop that I did on this stretch of Route 66 was at the Daggett Pioneer cemetery in the town of Daggett. There is not much information about it, but when you drive through the city you will see it on the outskirts of town. 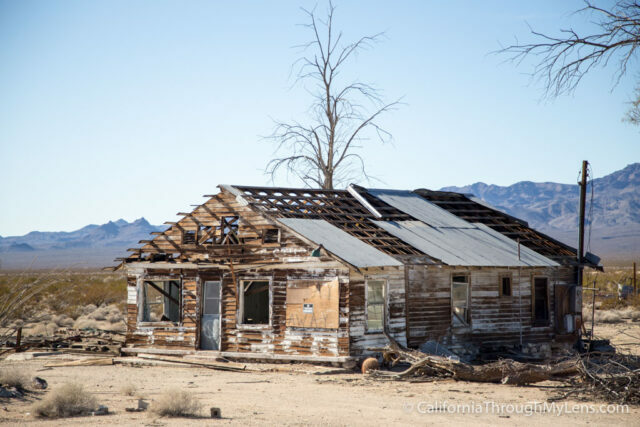 As you can see, this day on Route 66 is a barren adventure through the California desert and it doesn’t have a lot of main attractions. That being said I always like driving on this road as it makes me think about its amazing history and about all of the people that came through this area. 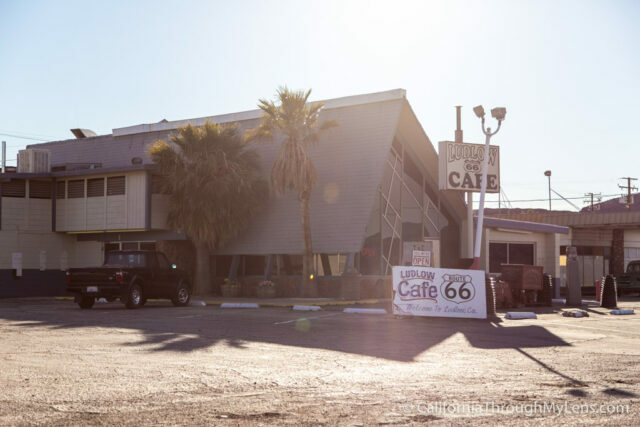 I enjoyed my time on Route 66 and you can read about my stops on the next section here.